[By Nick, New for 2017] Seeing as Dubba has had the photos for this review for a couple of weeks now, maybe I should send him some words to go with it. 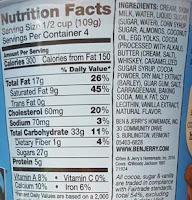 This is the last of the three new flavors from Ben & Jerry's line up (not including limited edition/exclusive flavors). Everything about this flavor sounds awesome to me. I mean burnt caramel ice cream? I'm glad that's finally starting to pick up in the ice cream world. Even though I don't drink, I've experienced their whiskey caramel swirl in the now retired Bonnaroo Buzz and didn't think the alcohol was too strong in that so I'm hoping for a similar experience here. The burnt caramel ice cream is everything I expected from Ben & Jerry's. The "burnt" aspect might sound unappealing to most but it doesn't actually taste burnt. It just means the caramel was cooked longer giving it a richer, toastier flavor. It's not as buttery as a traditional caramel either. All in all, they nailed the flavor of the ice cream. 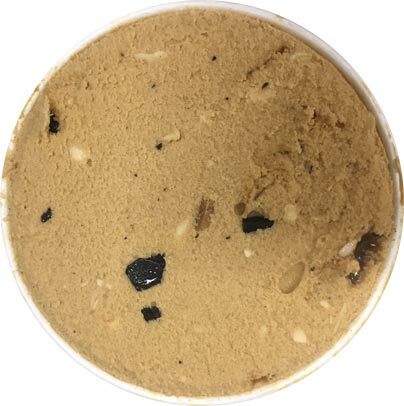 The almonds and fudge flakes are just as expected. They complement the ice cream without being overpowered by the strong flavor of the ice cream. I feel like the fudge flakes are unnecessary though. The crunch of the almonds are more than enough for a change in the texture and they work better with the base. A fudge aspect should've been incorporated into a swirl instead. Speaking of swirls... to be blunt, this is by far the worst swirl I've ever encountered. It's worse than the passion fruit swirl from Ben & Jerry's Greek froyo. The bourbon is too strong, way too strong. That's all you can taste even if you get a tiny bit on your spoon. It made this one inedible for me. I had my fiancée taste it as well (as she drinks on occasion) and she reacted the same way. I tried eating around the swirl as much as I could to enjoy the rest of the ice cream but I gave up. I'm not one to throw away ice cream but I couldn't make it past that swirl. Hopefully they use that ice cream base in a different flavor down the road. It would be a shame to waste it on this one. I felt the almond flavor was too strong. I didn't like it either. I had the same exact experience with HD's new Bourbon Praline Pecan! On first scoop I was ok, but it was almost inedible on the second time around. Sooo alcoholic! Huh. 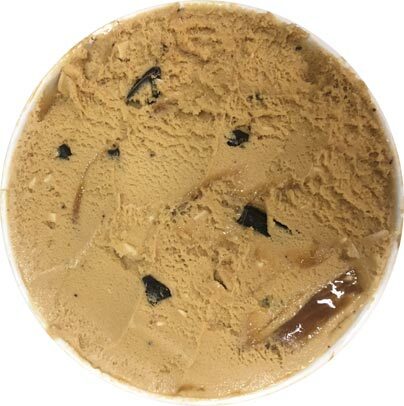 I'm not a fan of alcohol flavored ice creams, but I though HD's Bourbon Praline Pecan was still very good. I'm also a sucker for praline pecans so theres that. I will have a re-scoop of this one soon. Actually, H-D Bourbon Pecan Praline was one of my favorites years ago, so I'm thrilled they brought it back! I enjoy a good bourbon, so I think H-D did a great job by creating a base with a strong bourbon flavor (personal preference, of course). 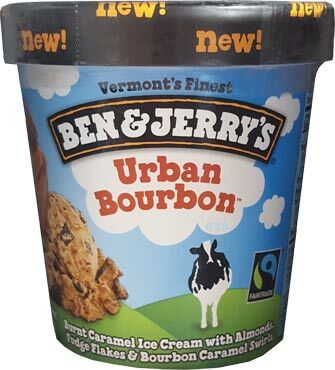 I hope I get a better pint of this, the base is fine but I'm hoping for more bourbon caramel swirl. Hi - Here's something ironic. I don't like beer. I love a good bourbon or single malt. Do you remember the B&J I think it was a Guiness ice cream that you hated and I thought was one of the best creations ever? So, with that, as I mentioned hate beer and love bourbon. I love beer ice cream and hate bourbon ice cream! Hmmm. This was a let down on many levels. Oh well. Do you think there may possibly be a good and bad place for these ice creams when they enter the flovor graveyard? I've gone through 2 pints of this and quite liked it. The swirl is pretty boozy so I can see how someone who doesn't like alcoholic flavors, but I enjoy bourbon flavor in desserts (I usually add a least a splash of it to my homemade vanilla ice cream), so I really liked the flavor of it. 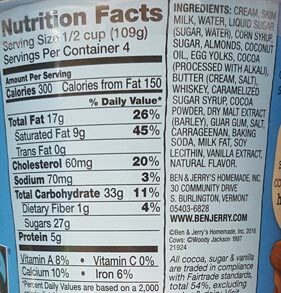 In fact, my only complaint about this flavor (apart from the chocolate flakes being a little too large) was that there wasn't enough swirl! Both pints I ate had maybe 2 tablespoons of swirl in the entire pint. I could go several bites at a time without encountering any of the swirl at all.